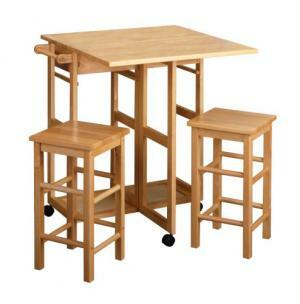 Furniture for small spaces should be practical, useful, multi-functional, and appropriately sized. While this concept may seem overly simplistic, homeowners often try to cram too many furniture pieces into a small room. While you want some smaller-sized furniture, you also want a few larger pieces to keep the room from appearing as a miniature-sized room. Balance and contrast are the keys to making a successful small room design. If you live in a space-challenged home or apartment, or have a small room in your home that always seems to negate rather than attract visitors, then it is time to look at your furnishings and accessories. Make certain that each piece of furniture in your room is useful and fits naturally into your overall room design. For example, you may have a small floral arrangement on a side table when a larger one would create greater interest and intrigue in your room decor. There is a plethora of furniture for small spaces on the market, and some pieces can be inexpensive so you won't break your budget in creating a nice look for your room. Be sure to mix small, medium and a couple of larger pieces of furniture in your room design. The bedroom is one of the most important rooms in your house, so you want it to be a comfortable haven. You want to be able to walk around your bed. Too large a bed will make your room appear smaller than it is. Maya Ben, Vice President of Hollandia International Operations advises shoppers to, "Look for comfort and support as in a bed, not just a comfortable sofa for sitting. We see many shoppers looking for a nice comfortable sofa, but overlook the comfort of the mattress." The Platinum Lux™ Groove looks like a lounge chair but is a highly sophisticated adjustable bed. Murphy beds can offer additional storage and work space when the bed is not in use. 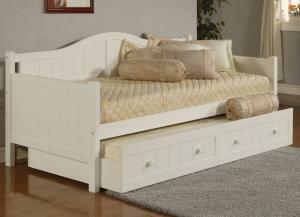 Daybeds can be plain, have under-bed storage or a trundle bed. Futons offer seating and instant beds. Sofa beds come in all styles and price ranges. Stuff Your Stuff headboard gives a cubby headboard and side storage. Chelsea Loftbed adds floor space with a desk, vanity and book shelves underneath the bed. Ottoman beds are easy to open and comfortable for guests. 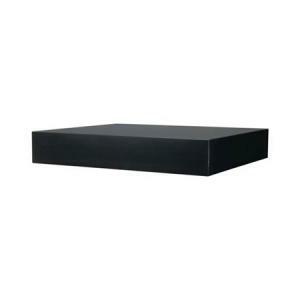 Ben agrees that an ottoman bed is an excellent space saving choice, "Because of its small footprint, it is a must-have for maximizing small spaces and is widely popular among apartment dwellers looking to do just that." Install a floating shelf by your bed instead of a bedside table. Wall mounted bedside lamps conserve space. Wall-mounted televisions can also have adjustable positions. When designing a home office, storage and filing cabinets are your most important considerations. Make certain that your desk offers the most bang for your buck. Regalia Secretary Desk offers surprising storage with a pull-down shelf for your laptop, shelf, drawer and lower cabinet with adjustable shelf. Sauder Corner Desk tucks away in the corner as an ideal space saver with one drawer and two bottom bookshelves. You might have the luxury of a separate dining room or a dining nook, so make the most of it with a drop-leaf dining table. Drop leaf tables can be collapsed when not in use. Stackable chairs are a great way to save space. Coffee table with four ottomans is compact and functional. Perhaps you live in a studio, or a one bedroom apartment. Maybe you live in an older house with smaller rooms. Whatever the reason you are looking for furniture that goes well with small spaces, you are certain to have some questions about how to properly furnish a living room. Loveseats can be used instead of sofas, but aren't limited to small streamlined furniture. Chair choices range from side chairs to overstuffed upholstered chairs. Lift top coffee table offers storage, a desk or a dining table. Sectional sofas are great ways to have a chair, chaise lounge and other separated configurations. There are a few rules to consider when designing small spaces. Don't be afraid of color! 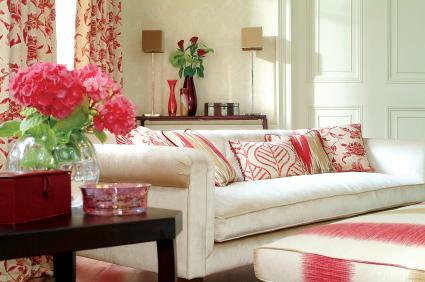 Opt for pale or bright colors for your walls and fabrics. Darker hues will make your room appear smaller. Use white as an accent color or backdrop for vivid color splashes. Select lightweight fabrics. You can also mix with heavier fabrics to add contrast. Choose furniture with hidden storage compartments to organize and reduce clutter. Think vertical. Hang draperies higher than windows and take advantage of the illusion of height. Floating shelves are excellent space savers and provide additional storage. Don't overcrowd your room. Leave enough space to easily move around. In the past, many designers advised using only neutral colors and scaled-to-size furniture for small space design, but design styles have changed. You aren't limited to tiny pieces of furniture or dull colors for small rooms. Dramatic colors, expressive fabric patterns and prints can be used. Your fabric choices, floor and window treatments can help your room burst to life! Mix and match shapes and sizes to create contrast and a better room design.